Lately lots of people are requesting renewing links of albums that have been posted a long time ago. I am doing it whenever possible: If the link has not been removed because of copyright claims and if I can find it in my archives. Sometimes I just renew the link, sometimes I repost the complete album (if it has been previously posted in the other reality before the closure of the original Parallel Realities Studio blog) but sometimes I simply do not have the time or patience to check why the link does not work, search my archives for it and upload it to server. Besides, the situation in Europe and Serbia in particular is nearing a financial collapse and I have to think of other matters, mainly about earning enough money to stay alive. The last 8 years, everything was for free, no charges for anything, no annoying advertisements etc. I am determined that it should stay that way. On the other hand I would appreciate it very much if people requesting renewals of links or anybody who thinks that this site is important for us all, would be so kind as to contribute with a donation to keep this parallel reality alive. The beautiful Indian Summer lasted in Belgrade untill a few days ago, but then the icy winds started blowing an it began to snow, turning an extremely pleasant city into it’s opposite. At least for me, as I do not like the cold. So the evenings I spend now preferably at home where it is warm, additionally heated with a bottle of red wine, good music and in good company. 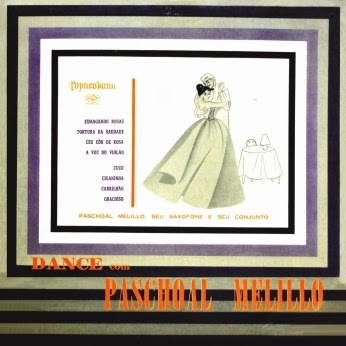 As today the newest package started it’s transfer to my PC, I have chosen to download, post and prepare for listening for this evening, when some friends of mine are expected to come to my place, our old friend Paschoal Melillo. 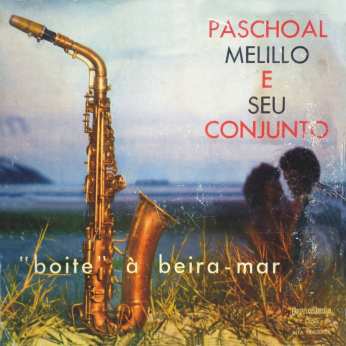 Harmonica, sax, piano player, singer and composer Paschoal Melillo has his premiere on Parallel Realities with the third of his three career albums:“Boite” À Beira-mar from 1959. I can not know if his works have ever before been presented to you, but I know that he was completely unknown to me before I opened the current package sent by Pedro & 300 discos. There is a very interesting text about him printed on the back cover which I suggest reading.